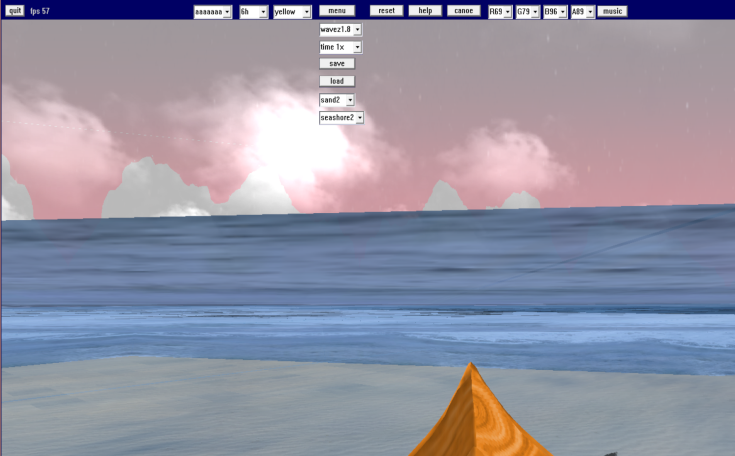 seashore chung is a 3D seashore island swim / wind sailship / horse ride / explore game with ocean animated textures made with glvideotexture_chung and buildings town obj exported from freewebcar_chung written in easy fast freebasic . Is there a goal in this demo? Or I just ride/float around? Last edited by chung on Apr 18, 2019 17:45, edited 2 times in total. Hello chung I read your program code but I don't get it how you draw the shadow ! Is it a kind of projected plane "fake" shadow ? 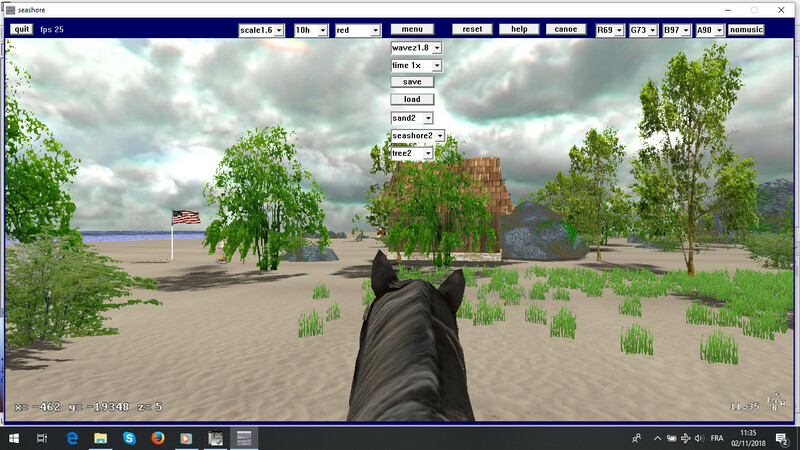 for the towns and women , i use morphobj3ds_chung to project the vertices to the fflat ground given sunco1, sunsi1, suntan2 sun direction coordinates. others (trees, rocs,...) i project a predefined shadow quad on the ground. advantages : is fast and detailed . why not using the stencil buffer or a shadow map ? i use the stencil in towns shadow only to avoid multiple drawing shadows.